There are few things in League of Legends more satisfying than a good wombo combo – one of my highlights from my time with the game was an Malphite/Orianna/Annie combination that won my team the game in about two seconds flat. But have you ever wondered what League of Legends’ objectively best synergies actually are? Stay up to date with League of Legends patch 8.10. If you have, you’re in luck, because Riot have released an infographic showing off some of the best (and worst) champion combinations. The data comes from ranked solo games at all MMRs and in all regions during patch 8.5. To be eligible for the awards, duos had to have played at least 2,000 games together. Champions also had to appear in roles more than 10% of the times they were played. 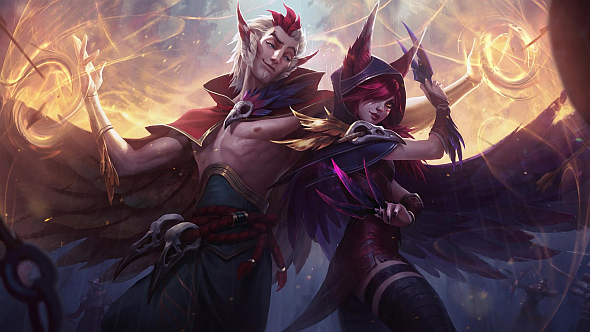 The overall best synergy isn’t very surprising – it’s Xayah and Rakan, two champions who were not only released at the same time, but were also actively designed to work with one another. Second place is more surprising, but Malphite’s level six ganks on a Yasuo mid make for a pretty deadly pairing. 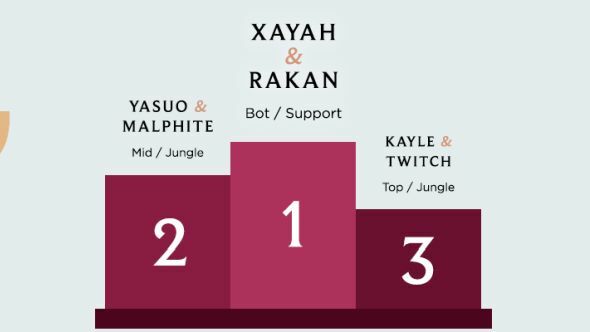 Kayle and Twitch came in third place. The three worst pairings were, in order, Brand and Elise, Caitlyn and Rakan, and Gangplank and Tryndamere. Riot say there are tons of reasons why these synergies might not work, but double AD or AP pairings don’t tend to do very well as it’s easy for players to build against them. There are a whole bunch of other synergies documented in the list. The best Yordle pairing went to Poppy and Corki, Amumu’s best friend is Tryndamere, and several champions managed to put their lore rivalries behind them to work well together, with Yasuo and Riven coming out on top.